Gossip. Power struggles. Poor team coordination. 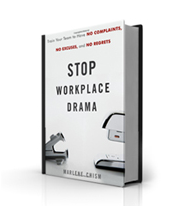 These are all symptoms of workplace drama. They’re the obstacles that can drain your company of its best talent, get in the way of true productivity and profit, damage workplace relationships and eat away at the effectiveness of your organization. 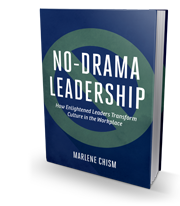 In Stop Workplace Drama, consultant and national speaker Marlene Chism offers an eight-step methodology that breaks through negative patterns contributing to drama and workplace conflict in organizations of every kind and size. 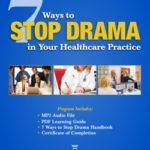 She has identified the gaps that drama creates—a gap between where your company is and where it aims to be, and the psychological gap that occurs when people are faced with change, and struggle with the fear that goes with it. In today’s business world, when competition is fierce and economic challenges are more intensive than ever, cutting the drama has never been more essential. 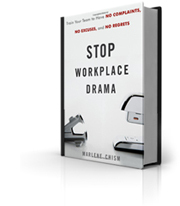 With fascinating case studies, illuminating insight, and workplace-tested strategies, Stop Workplace Drama will help boost the morale of your employees, maximize your company’s potential, and put your organization on the road to success. Need Clarity? Want to elevate your leadership? Ready to align your management team? Email here, or call 1.888.434.9085 to set up a time to talk with Marlene Chism.